Oil sands giant Suncor Energy (TSE:SU) won't be able to randomly test its employees for drug and alcohol use, a court-ordered arbitration panel has ruled. Suncor announced its testing program in 2012, but the workers' union Unifor filed a grievance and applied for an injunction, which blocked random testing until the arbitration panel could issue a decision. Now the panel has determined that Suncor's proposed policy is, in its present form, "an unreasonable exercise of the Employer’s management rights." "The 2012 Policy would cause intrusions into the privacy of employees beyond what is reasonably necessary to address the issues which have been raised by the Employer," the ruling reads. Suncor alleged that there was an “out-of-control” drug culture among the workers and in the broader community of Fort McMurray. The panel rejected this claim, saying there was no evidence to establish that such a problem existed. The panel concluded that the policy "is proposed without any time limits for reviewing its effectiveness, is not targeted as narrowly as possible, does not use the least intrusive or most accurate testing measures available and does not contain provisions for communicating with employees around false positive results." The unionn, which represents close to 3,400 Suncor employees had this to say. "Random drug testing of workers that have done nothing wrong is a violation of their basic rights," President of Unifor Local 707A Roland Lefort wrote in a statement. "We will work with Suncor to achieve the highest possible levels of workplace safety with education and prevention, not invasive medical procedures." 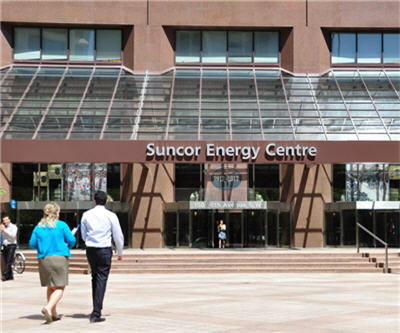 Suncor has said it will appeal the decision.